City life can be busy but when it comes to tyres, the experts at TyreLAND Dunedin will ensure your needs are met as fast as possible. They'll care take of any tyres needs from the truck right down to the garden wheelbarrow. If the family car needs new tyres, TyreLAND Dunedin has a courtesy car available to ensure you can carry on with your day. 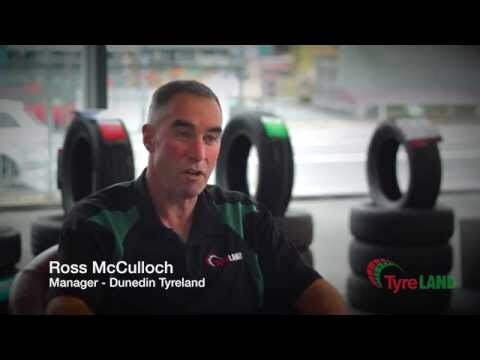 On the commercial side, TyreLAND Dunedin meets your tyre needs with two fleet trucks operating around Otago. This one stop shop can also providing wheel alignment and balancing, under-car suspension, brake work, oil changes and warrants of witness.